“I am not an intellectual. I do not paint from the mind. I am a peasant, I paint from the heart," said Vicente Manansala, great Filipino visual artist. Indeed, from “Madonna of the Slums” to “Pila Pila sa Bigas”, National Artist for Visual Arts Vicente Manansala gave us a glimpse as to how he looked at his subjects- a reflection on his personal sentiment towards the hardships of their lives. The sketches behind his famous works plus other memorabilia highlighting his stellar career spanning five decades can now be viewed in an exhibit dedicated in his memory at the Museum of Kapampangan Arts inside Holy Angel University (HAU) in Angeles City. The exhibit is divided into four galleries; the first one consists of sketches of simple people drawn from everyday life- vendors, man on the street, cockfighters, and mother and child. Gallery two contains compilation of the “Parisienne Boudoirs” while the third one has the sketches of his famous “Stations of the Cross” murals which can be seen at the Parish of the Holy Sacrifice in the Diliman campus of University of the Philippines (UP). The fourth gallery has his citations, awards, and medals including his National Artist medal, international awards won, and the citation given to him by the provincial government of Pampanga. Manansala was born on January 22, 1910 in barangay San Roque, Macabebe town. Acclaimed as the country’s most inventive painter, Manansala’s style spans realist tradition to modernism. He studied at UP (1926-1930) and pursued advanced studies at the Ecole des Beaux-Arts in Montreal, Canada through a UNESCO grant in 1949. He was also awarded with a French government scholarship at the Ecole des Beaux-Arts of Paris in 1950. Manansala was part of the avant-garde circle of artists who met at the Philippine Art Gallery in the ‘50s. He experimented with abstraction by making realistic studies, then recasting them into varied forms- some simplified, most re-shaped in the cubism style. He was included in the list of Victorio Edades’ “Thirteen Moderns” becoming a champion of the so-called Neo-Realism movement. 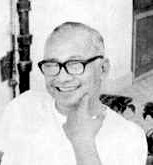 Manansala received the Republic Heritage Award and the Araw ng Maynila Award in 1963 and 1970, respectively. In 1981, he was posthumously conferred by then President Ferdinand Marcos with the National Artist for Visual Arts award. The museum is open to the HAU community and the general public Mondays to Fridays from 9 a.m. to 5 p.m. and Saturdays from 9 a.m. to 12 nn. Sundays are by reservation only.